A “fresco” is the type of wall painting created with natural pigments and clays mixed with water and spread on fresh plaster. The plaster, which must remain humid whilst it is being worked with, is spread a little at a time, in the quantities that the artist judges he’ll be able to paint in one day. The fresco style can give splendid results, but requires a perfect mastery of the technique and the ability to paint with rapidity and confidence as this method, very different from other painting techniques, does not allow hesitations or corrections. 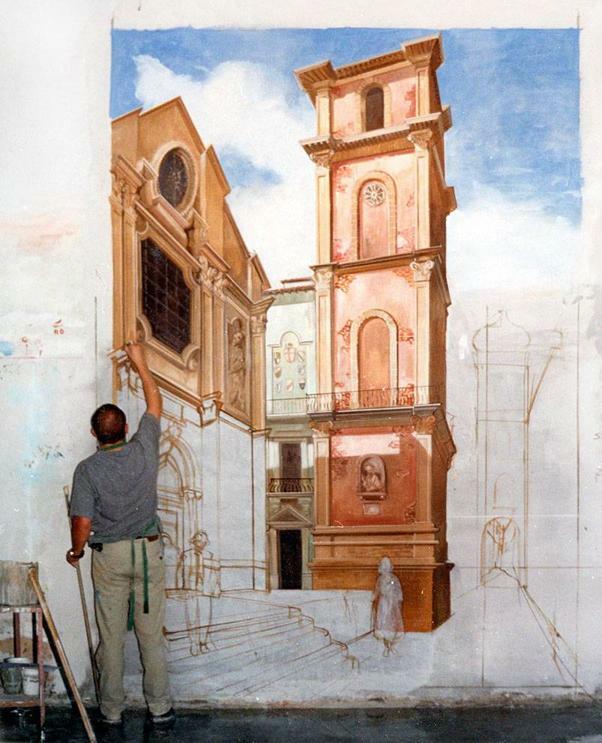 After having created the fresco you must then wait for the painted plaster to dry completely. A canvas is glued onto the latter and is then stripped. This way the painting is removed, which remains stuck to the canvas in a “negative”. You then move on to the “retrieval” phase to transfer the “positive” of the painting. A second canvas is glued to the back of the first one, the first glue is dissolved, the first canvas is removed and the fresco has been transferred to the second. This method is called “Calicot” or the “strappo method”. 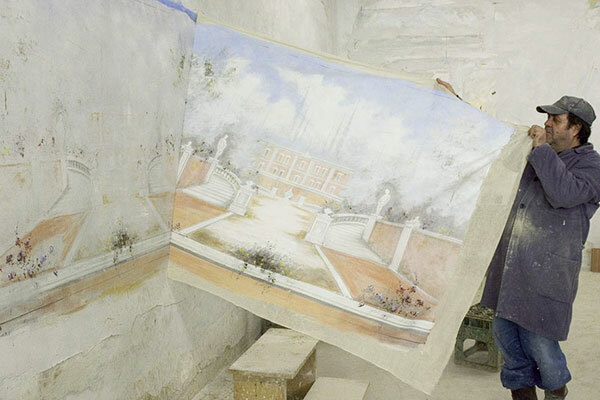 Thanks to this procedure we can obtain authentic frescos on canvas. The finished fresco can be fixed onto a frame and hung like a picture, or sent without a frame to then be stuck directly to a wall or other support. Thanks to the handcrafted nature of the procedure we can make frescoes in any shape or size.